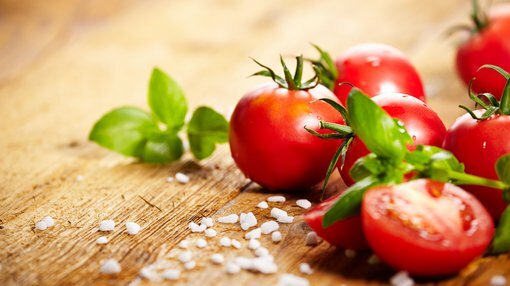 Abundant Produce Limited (ASX:ABT) has provided a highly promising companywide update. 21,381,514 shares which had been under Escrow since ABT’s listing will be removed from Escrow on 26 April 2018. Approximately 79% of these shares are owned by ABT’s Directors. The company’s Directors have indicated that they intend to retain their holdings, and remain committed to the strategy and vision of ABT. Following up on its recent agreement with Jatenergy (JAT), ABT informed investors that it will benefit from JAT’s move to join forces with Shanghai Dragon Corporation (SDC). JAT announced on 12 April 2018 that it had entered into a “Cooperation Letter of Intent” with SDC to work together to bring Australian products to Chinese consumers. JAT will be the supplier of ANH’s products while SDC will oversee the import, provision of a sales platform and selling of the goods in China. The above agreement will solidify ANH’s partnership with JAT as a result of the direct International Supply Agreement announced on 4 April 2018. The partnership is pivotal to ANH’s strategy of delivering quality Australian made and owned natural skin care products into the growing Chinese consumer market. SDC is a state controlled, publically listed business with over 40 years of international trading history. It also enjoys extensive logistics and warehousing infrastructure in China. SDC has recorded sales in excess of A$1 billion (equivalent) per annum and possesses over 2,100 employees. AS has reported that domestic cucumber seed sales have increased along the Eastern Seaboard of NSW and in Adelaide, SA. The company believes this is due to farmers’ concerns about disease from imported varieties and their ability to fully adapt to local conditions. Increased Australian import restrictions mean that it is harder for varieties from overseas to enter Australia. The estimated $9 million cucumber seed market is ripe for change, with AS gearing up to capitalise on this via its Australian developed, higher yield seeds that produce quality fruit and more profit to the farmer and better produce to the Australian consumer. The company will commence the sale of its tomato seeds to the domestic market this year. In an effort to tap into consumer’s increased education in produce origin and harvest, AS aim is to produce this seed in Australia to ensure the product is 100% Australian from concept to table. Internationally, we now have our tomato sweetness and colour traits firmly implanted into our major distributors varieties. Further successful trials will see direct incorporation into the current sales of this major distributors market. AS believes by incorporating its traits into an entire portfolio of tomato varieties, the market will adopt is new variety quicker. In addition, it has also dispatched new cucumber varieties to our distributor to test in the Middle East. AS has also made swift progress on the technology front, announcing that it has successfully implemented new and improved software for cucumber and tomato selection, which has facilitated an acceleration in the selection process and improved its varieties with greater efficiency and speed. Group CEO, Mr Tony Crimmins, spoke on the company’s latest update, “AS continues to supply ANH with its source product, which is intrinsic to its success.